After a long, dark and cold winter, don’t you think you deserve to treat yourself to a spring break vacation in sunny Rancho Mirage? What better way to thaw the winter chill from your bones than to soak up the desert heat? From relaxing poolside at a fabulous resort to dining at any one of the city’s delicious restaurants to exploring the natural beauty of the area, Rancho Mirage is the place to be this spring. Each of the big four resorts in Rancho Mirage are offering deals to make your trip to the desert extra special this spring. Westin Mission Hills Golf Resort & Spa – Enjoy unlimited golf for two people with the special package at the Westin and experience one of the Top 75 courses in North America, according to Golf Digest. 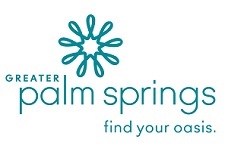 Omni Rancho Las Palmas Resort & Spa – Get up to 10 percent off your stay at Omni through May 27 with their special springtime savings. The Ritz-Carlton – Rancho Mirage – Book two night at the Ritz-Carlton and get your third night free with the Intrigue You package. Agua Caliente Casino Resort Spa – Treat yourself to a relaxing weekend with the Breakfast in Bed getaway at Agua Caliente, which includes $50 in-room dining credit. Dickey’s Barbecue Pit – With a scrumptious selection of meats that are smoked overnight and a choice of homestyle sides, Dickey’s serves up what many consider to be the best BBQ in the desert. Don’t miss their deals, like Kids Eat Free Sundays and other special offers. Fleming’s Steakhouse – If you’re looking for a good steak, look no further than Fleming’s! Stop in for their Tomahawk Tuesday special of a three-course meal with a 35 ounce Prime Tomahawk or try the $55 three-course Filet & Lobster any day through April 21. O’Caines Irish Pub – Swing by the newly opened O’Caines Irish Pub at Rancho Mirage Marketplace for high quality, freshly crafted dishes – served up with Irish hospitality! Pieology – Whether you’re vegan, cholesterol-free or interested in non-GMOs, Pieology has a pizza for you. Need more suggestions? 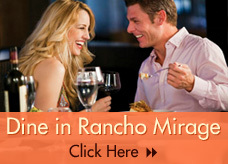 Check out our Dine in Rancho Mirage page for more ideas! Rancho Mirage is home to several “hidden” gems that you may want to explore this spring. Children’s Discovery Museum of the Desert – Bring the little ones to Rancho Mirage and let them explore over 100 exhibits and six acres at the Children’s Discovery Museum. 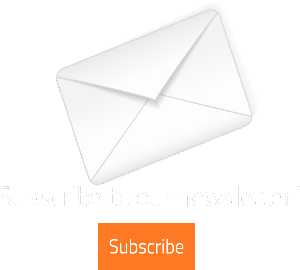 Rancho Mirage Library – There’s always something exciting happening at the RM Library – exhibits, kid and family-friendly programs, workshops – you name it, the Library probably has it! Sunnylands Center & Gardens – Visitors to the Center & Gardens enjoy sculpture from the Sunnylands Collection as well as a rotating exhibition. There is a film and other offerings about the history of Sunnylands and its founders, Walter and Leonore Annenberg. The Cafe offers light lunch items and unparalleled mountain and garden views. Rancho Mirage Observatory – Discover new celestial sights by touring the Observatory Tuesday through Saturday at 9 a.m. or 3 p.m.
For more suggestions on things to do in Rancho Mirage, be sure to check out our Attractions page or browse our Upcoming Events page. However you choose to spend your spring break in Rancho Mirage, we hope you have a wonderful visit to the desert and come back again soon!